Every year around the second week of February I head to Toronto for the Canadian International Auto Show. The downside to that is I don’t get to spend nearly as much time as I’d like to with that week’s press vehicle. As such, the review for that week ends up being one of my ‘quick drive’ reviews. Unluckily for me, the vehicle scheduled during auto show week this time around turned out to be the Honda Accord this. I say ‘unluckily’ because I genuinely like the Accord and was looking forward to spending some time with it. If you’re having a spat of deja-vous right about now, don’t worry you’re not crazy. 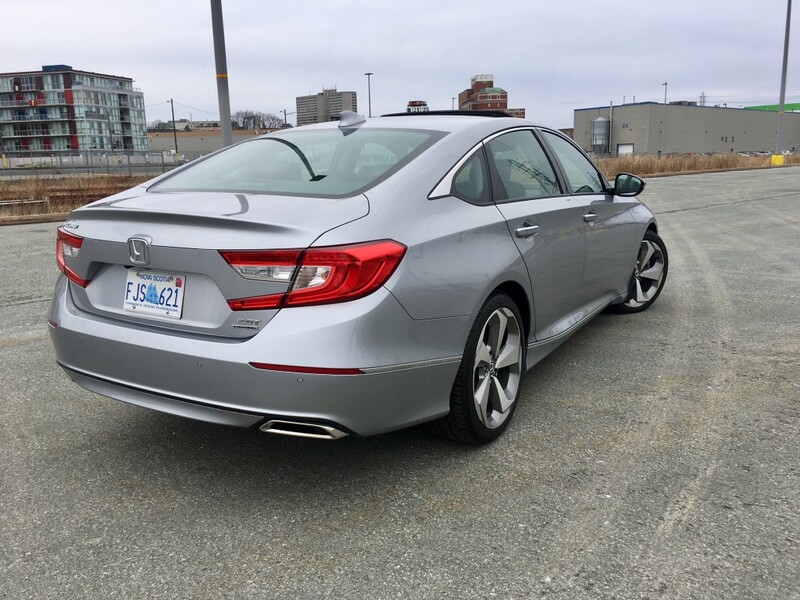 I did indeed review the new Accord right before Christmas, but it had the 1.5 litre engine. 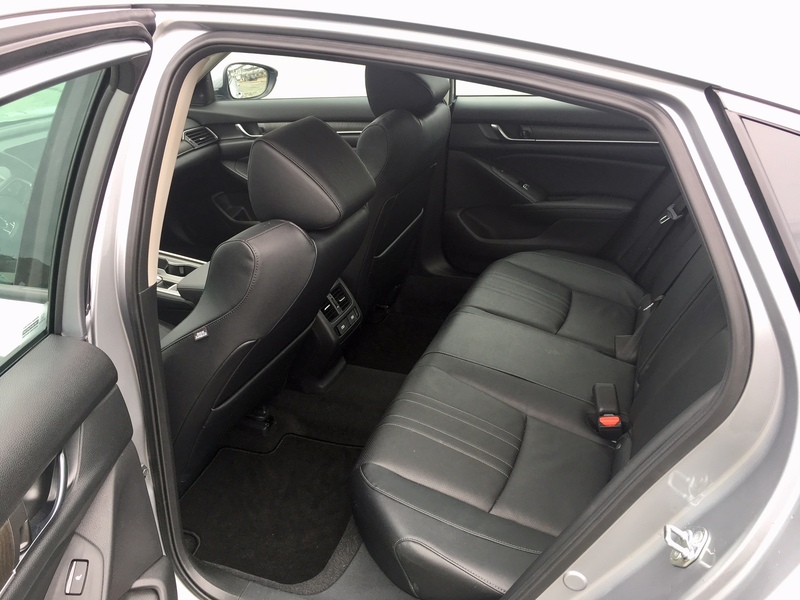 This Accord was fitted with the much more interesting 2.0T. 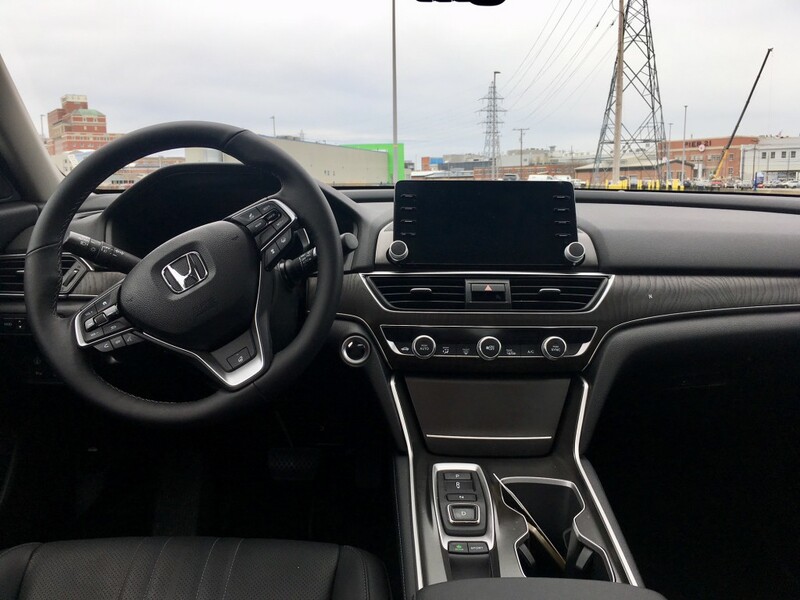 Since I spent two weeks with the Accord 1.5, check out the review if you’re looking for more detailed impressions. This quick review is going to focus on the new engine and transmission combo. The new 2.0T replaces the V6 which seemed to upset Honda fanatics, but Honda is hardly the first manufacturer to downsize both displacement and cylinders. Now a days if you want a ‘mid-size’ family sedan with a V6, you only have three choices: Subaru Legacy, Toyota Camry and Volkswagen Passat. But what makes this engine interesting is that it is the same unit plucked from the apparent ‘can-do-no-wrong’ hot hatch known as the Civic Type R (I say ‘apparent’ because I still have yet to try one and am failing at hiding my jealousy). Don’t go thinking that this is a Type R version of the Accord though (blasphemy!) because it isn’t. For starters, this version of the engine is detuned. 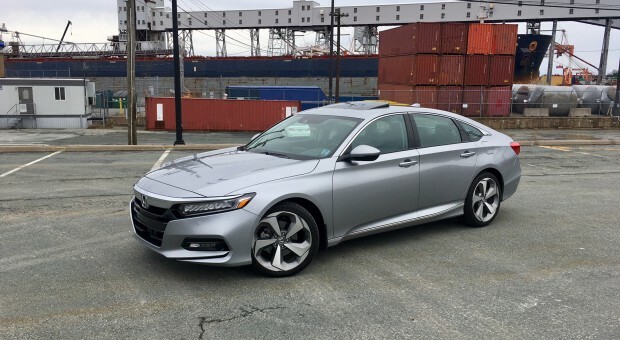 In the Accord it makes less power with 252 horsepower and 273 pound feet of torque. The type of transmission available largely depends on the trim level you choose. If you go with the ‘Sport’ trim, a 6-speed manual is available (and you’d be foolish not to get it). If you choose the Touring trim, a new 10-speed automatic is your only choice. 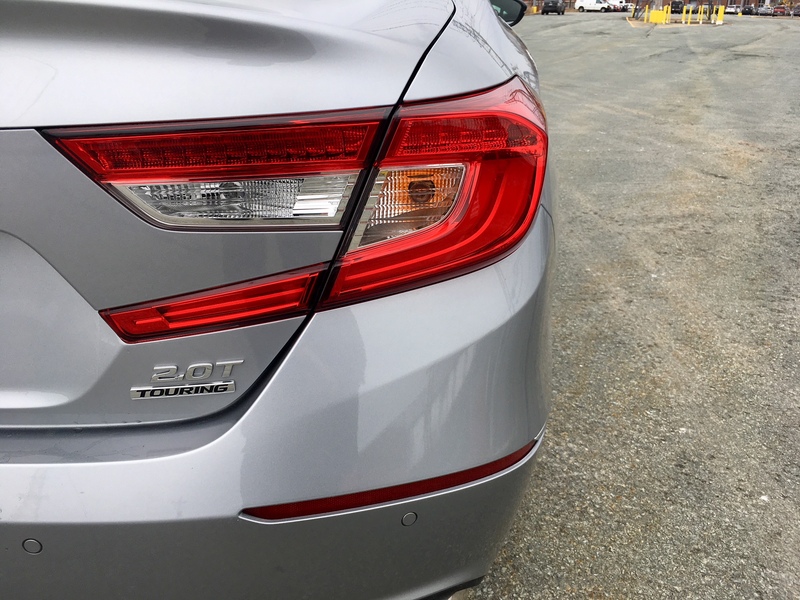 As my tester was the top trim Touring model, I got to experience the 10-speed automatic. This transmission forgoes the traditional gear selector in favor of a push-button set up. I’ve heard complaints from my colleagues about how difficult and unnecessary it is, and while I’m willing to concede that last point, I’m not entirely sure what’s so difficult about pushing a button. On the road this engine/transmission combo tends to work well together for the most part. The latter has been well programed to shift at the right moments and shifts are never jarring or intrusive, it gets the job done efficiently and with a measure of discretion. Down shifting done via paddles is particularly superb. When left to its own devices on the highway, there can be some hesitation to downshift when more immediate power is requested though. The new engine itself will likely have few still wishing for the V6. This engine covers the retired V6’s reputation well with no discernible lack of power, even if there is an obvious lack of the same soundtrack as the V6. 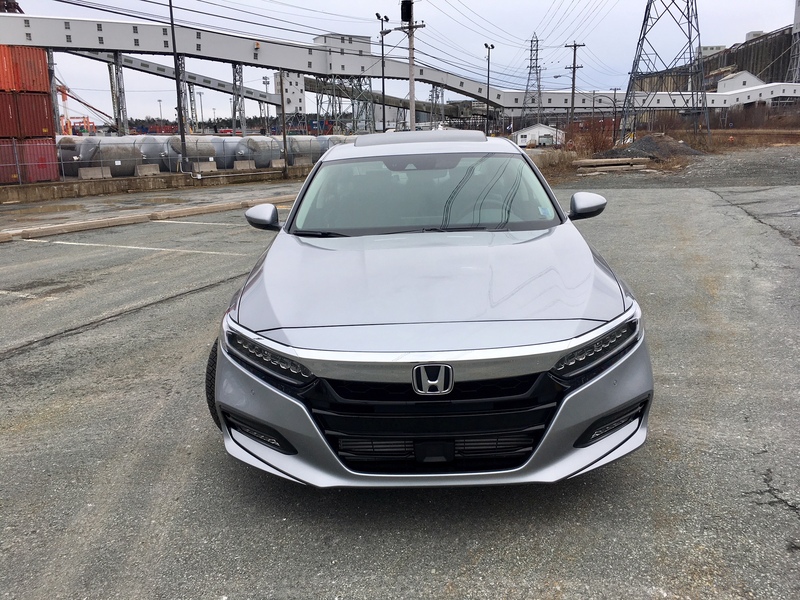 There is good pull thanks to plenty of low-end torque and power tends to be quite linear from 0-100, which, by the way, the Accord 2.0T can get to in 5.7 seconds. It should also be noted that the V6 clocked the exact 0-100 time too. What the V6 couldn’t do is get the same kind of fuel consumption figures. Officially it rings in at 10.4 L/100 kms city and 7.4 highway. 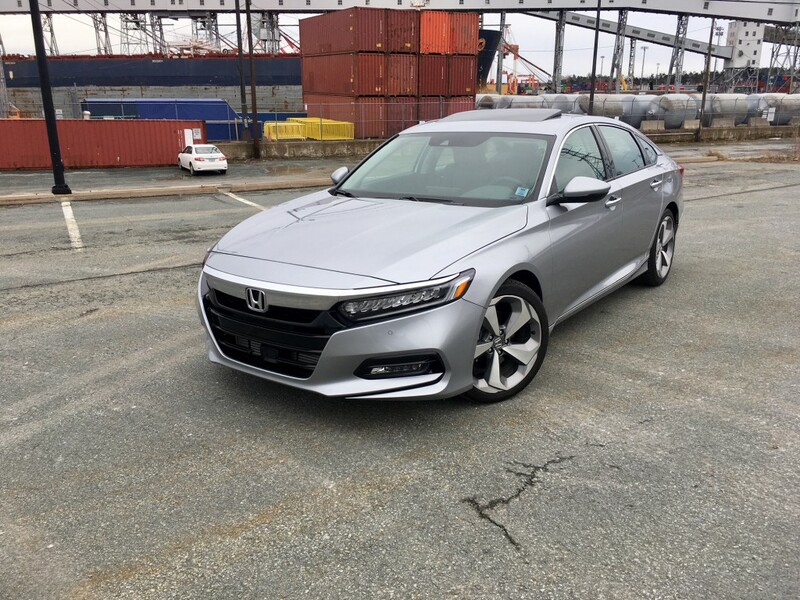 Given I returned 8.0 in the Accord 1.5 after two weeks of mixed driving, I have no doubt that the Accord 2.0T would likely do better than the official numbers suggest (after 57 kms of driving, I returend 11.4 L/100 kms, however I would have expected that number to steadily increase had I had more time to drive it). The 1.5 carried a few niggles that may have been specific to that specific press car, but I’m pleased to report that during the two or so days I spend with the 2.0T, there were no glitches. And while the 1.5 carries enough power for most, there is something a little more special with the new 2.0T that is tough to put a finger on. It has a more traditionally Honda feel to it and behaves predictably. There’s plenty of power when you need it and has an unassuming mannerism when you don’t. Indeed this is the engine I’d take but not the transmission I’d take. There’s nothing particularly wrong with the 10-speed, but I am a manual transmission purist and to get the opportunity to get one on a relatively top trim mated to a relatively exciting engine is too much of a good opportunity to pass up. 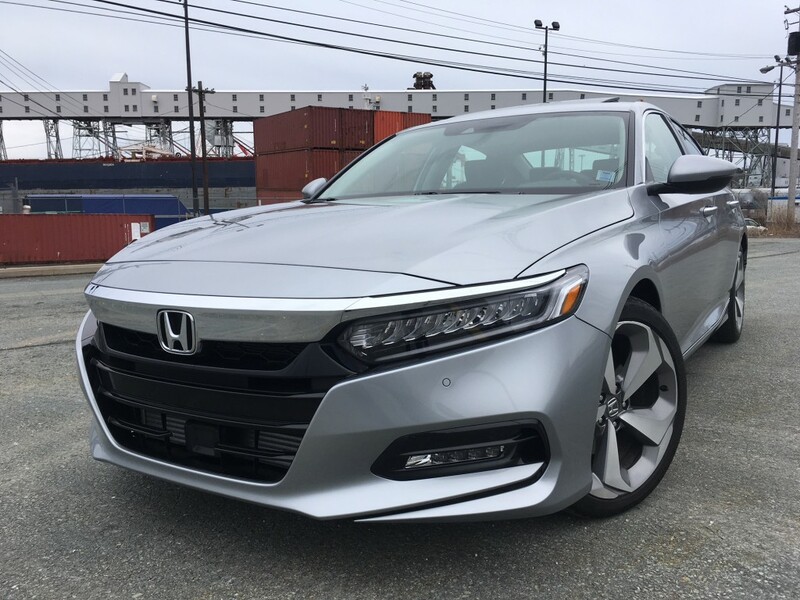 Regardless, with two new engines and three new transmission options available, it’s little wonder why the Accord continues to keep its laurels after all these decades.